Update, October 4, 2013: Melody has found her forever home! Purrr, purrr, purrrrrr! Congratulations, Melody, and I’m so glad you’ll be sharing your sweet song with a loving human all your own! Hi everyone. 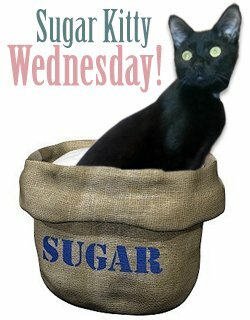 Before I introduce you to this week’s special sugar kitty, I’ve got some exciting news! This weekend, Mama’s going to help transport a diabetic elderkitty to a new home in Maine. I’m purring with joy that she’s willing to help our friends at Diabetic Cats in Need to get these cats to safe and loving homes. Now, I’d like you to meet Melody, one of my friends currently living at HART of Maine, the shelter that helped me find my forever home with Mama. I remember the first time I saw Melody: I thought she was a real sweetheart, and I was kind of jealous of her long, luscious silvery fur. But I was just a kitten back then, so I was allowed to be jealous … Ouch! Siouxsie, that wasn’t nice! And what do you mean, I’m still just a kitten? Anyway, let me get back to the story I was telling before I was So Rudely Interrupted: Melody is about four years old, and she’s had kind of a rough road. It’s been hard to get her blood sugar regulated because she’s insulin-resistant. Tests revealed that she has insulin autoantibodies, but not acromegaly, which is a common cause of insulin resistance. But despite all this, Melody remains a sweet, gentle cat who tolerates her blood glucose tests and insulin shots without even a hint of complaint. So, Melody, how are you doing these days? Melody: I’m very happy, Bella. Did you know they just moved us diabetic kitties into a bigger room with more windows and lots more places to perch? It’s so nice in here! Bella: Aww, if I weren’t living in a forever home of my own with lots and lots of windows, I might be a little jealous. Melody: Bella, it’s not kind to gloat. Allow me to take joy and pleasure in my circumstances, even though they are much humbler than yours. Bella: I’m sorry I was so thoughtless, Melody. I hope you get a forever home soon. Melody: Me too, Bella. I love to sit in laps and I really, really love being brushed. Even though the HART people brush me and love on me as much as they can, I’d love an adoring person all my own. Bella: Have you purred for the humans yet, Melody? Melody: Well, of course I have, but nobody can hear me because I’m so quiet — so they think I haven’t purred yet. Bella: So, if you were going to imagine your perfect forever home, what would it be like? Melody: It would have lots of soft cushions where I could curl up and sun bathe, and the person or people in it would live a quiet and calm life. I don’t want to live with dogs or kids that chase me around. I promise I’ll purr audibly for the person who adopts me! Bella: I know you will, Melody. I also know you’re going to find your perfect forever home! What’s not to love about this gorgeous girl? 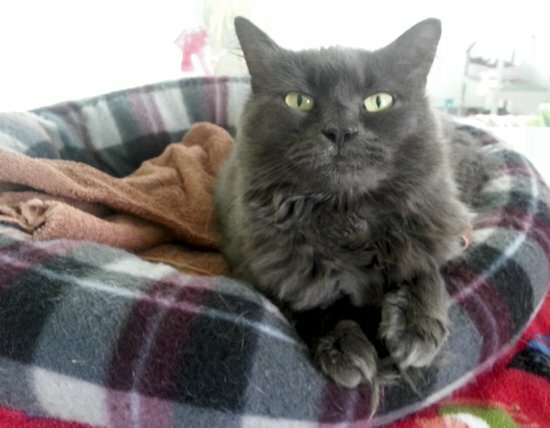 Because of Melody’s insulin resistance, she needs a home with people who are familiar with feline diabetes or willing to learn what they need to know and give her the extra care she needs in order to manage and perhaps even recover from this condition. 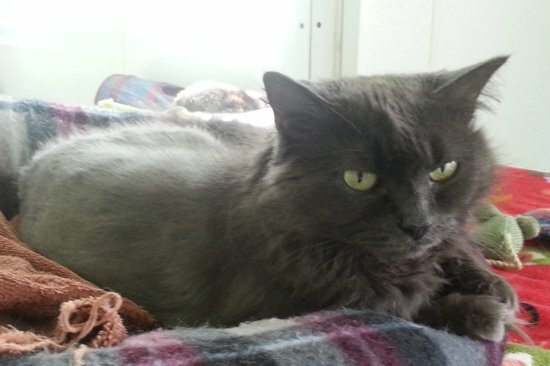 Her adopter should also be near Cumberland, Maine, so Melody can continue her care with HART’s veterinarian. If you’re interested in adopting Melody, HART has lots and lots of perks for you: You’ll get $100 worth of Fancy Feast cat food, a year’s supply of insulin, a free blood glucose monitor and testing supplies, and free boarding for your diabetic kitty at HART if you need to go out of town. Oh, and a free class on how to do glucose tests and give insulin shots. Get in touch with one of HART’s adoption counselors for more information — call 207-829-4116 or e-mail info@hartofme.com. You can download HART’s adoption application here. So Much Good News for My Sugar Kitty Friends! Chloe Wants a Lap of Her Own. Could It Be Yours?